Major General D. Som Dutt was the first Director of IDSA. During his distinguished service in the Indian Army, he served in several important positions. The last position he held in the Army was that of Commandant of the Defence Services Staff College, Wellington. Before taking charge of IDSA, Gen. Dutt spent a year on fellowship at the International Institute of Strategic Studies, London. K. Subrahmanyam earned his MSC in Chemistry from Madras University. 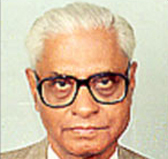 He was in the Indian Administrative Services (IAS) from 1951-1987 and held various responsible positions including as Home Secretary, Tamil Nadu Government (1976-77), Additional Secretary, Cabinet Secretariat and Chairman Joint Intelligence Committee, Government of India (1977-79), Secretary, Defence Production, Ministry of Defence (1979-80). He played an active role as Member, UN Inter-Governmental Experts Study Group on the Relationship between Disarmament and Development (1980-81), Chairman, Inter-Governmental Experts Study Group on “deterrence” 1984-85), Member of the Indian delegation to the UN Second Special Mission on Disarmament (1982), Member of Indian delegation to the Seventh Nonaligned Summit (1983). He was nominated Jawaharlal Nehru Visiting Professor, University of Cambridge, UK (1987-88) and as Nehru Fellow for 1988-90. Earlier, he was also Rockefeller Fellow in Strategic Studies Department of International Relations, London School of Economics (1966-67). There are more than a dozen scholarly books to his credit on defence, security, nuclear challenge, super power rivalry etc. 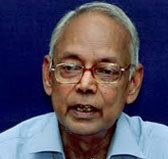 He was a regular contributor to India’s national dailies on current topics related to security. P.R. Chari is a former member of the Indian Administrative Service (1960 batch/Madhya Pradesh Cadre). He served in several senior positions in the Central and State Governments, and sought voluntary retirement in 1992 after 32 years in the Government. During the course of his official career he served two spells (1971-75 & 1985-88) in the Ministry of Defence. His last position there was Additional Secretary. He retired from the position of Vice-Chairman (Chief Executive) of the Narmada Valley Development Authority. 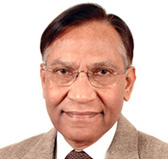 On the academic side he was Director, Institute for Defence Studies and Analyses New Delhi (1975-80); International Fellow, Centre for International Affairs, Harvard University (1983-84); Visiting Fellow, University of Illinois, Urbana-Champaign (1998); Research Professor, Centre for Policy Research (1992-96); Co-Director and Director of the Institute of Peace and Conflict Studies (I.P.C.S) New Delhi (1996-2003). Currently he is Research Professor in the I.P.C.S. He has worked extensively on nuclear disarmament, non-proliferation and Indian security issues. He has published over 1400 op-ed articles in newspapers/web sites and over 130 monographs and major papers in learned journals/chapters in books abroad and in India. 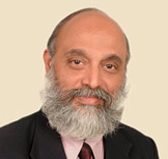 He has lectured extensively and held seminars in India and abroad including the National Defence College and Jawaharlal Nehru University in New Delhi, Asia Society (New York), Brookings Institution, Henry L. Stimson Centre, Centre for Strategic and International Studies, US Institute of Peace, and Carnegie Endowment for International Peace (all in Washington), CISAC (Stanford), Centre for Non-Proliferation Studies (Monterey), Lawrence Livermore Laboratory (Livermore), All Souls College (Oxford), International Institute for Strategic Studies (London), and Peace Research Institute (Bradford). 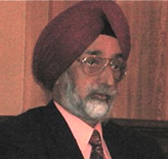 Jasjit Singh was a former Director of Operations of the Indian Air Force. He was one of the leading analysts of Indian military and strategic thought. He authored and edited more than two dozen books on strategic and security issues of South Asia, including-Air Power in Modern Warfare; Nonprovocative Defence; ; Nuclear India; Kargil 1999: Pakistan's Fourth War for Kashmir; andIndia's Defence Spending: Assessing Future Needs. Jasjit Singh was also a visiting lecturer at defence and war colleges in India and abroad. He was member of the International Commission for a new Asia, consultant to Parliament’s Standing Committee of Defence; and, Member of National Security Advisory Board. After his tenure at IDSA, he was instrumental in founding the New Delhi-based Centre for Air Power Studies and served as its first Director. K. Santhanam superannuated from the Defence Research and Development Organisation as Chief Advisor (Technology). 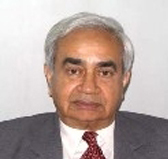 He was Scientific Advisor in the Ministry of External Affairs and a member of the National Security Advisory Board. He was conferred the Padma Bhushan in recognition of contributions to the Shakti-98 series of nuclear tests conducted in Pokhran in May 1998. He is a co-author of Jihadis in Jammu and Kashmir: A Portrait Gallery(Sage, 2003) and Iraq War 2003: Rise of the New Unilateralism(Ane Books, 2003). His coedited works include Asian Security and China, 2000-2010 (Shipra, 2004) andIndia and Central Asia: Advancing the Common Interest (Anamaya, 2004). C. Uday Bhaskar is counted among the leading defence analysts of India and has contributed over 50 research articles/papers to professional journals and books published in India and abroad. His articles have appeared in “US Naval Institute Proceedings”, “Studies in Conflict and Terrorism” and the “Bulletin of Atomic Scientists” and in books published by the US Naval War College and the Royal Navy amongst others. He has worked on nuclear proliferation, India-US relations and maritime issues. He is a regular contributor to many leading national dailies and has also been published in newspapers in USA and Japan. He is on the panel of experts for security and foreign policy issues with Indian radio and television. He is a guest lecturer at the National Defence College, New Delhi and the Defence Services staff college, Wellington. He has also lectured in schools colleges and universities in India, France and USA, including at the Olin Institute, Harvard; Columbia University; University of Chicago; Georgia Technology Institute; University of Georgia; Naval Postgraduate School, Monterrey; the Old Dominion University, Norfolk and Skidmore College, Saratoga Springs. He has participated in seminars abroad including the India-US Strategic Symposia held with the INSS/National Defence University. Cmde Bhaskar is the founder-editor of Quarterdeck and is on the editorial board of the Journal for Indian Ocean Studies. He is a life member of the United Services Institution and a member of the Advisory Council of the India International Centre. 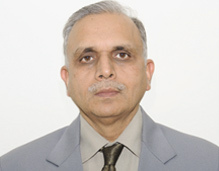 Narendra Sisodia retired as Secretary in the Ministry of Finance in January 2005. Prior to this assignment, he was Secretary, Defence Production and Supplies, Ministry of Defence. Born in 1945, Mr. Sisodia graduated from St. Stephens’ College Delhi and obtained a Master’s Degree from Harvard University, USA, where he was a Mason Fellow. Mr. Sisodia joined the Indian Administrative Service in 1968 and served as District Magistrate in four districts of Rajasthan. He was later Principal Secretary, Industries & Commerce, Chairman and Managing Director of the State Industrial Development & Infrastructure Corporation and Chairman, State Electricity Board, Rajasthan. He also served as Vice Chancellor of Mohan Lal Sukhadia University, Udaipur. Mr. Sisodia joined the Indian Administrative Service in 1968 and served as District Magistrate in four districts of Rajasthan. He was later Principal Secretary, Industries & Commerce, Chairman and Managing Director of the State Industrial Development & Infrastructure Corporation and Chairman, State Electricity Board, Rajasthan. In Government of India, he served as Joint Secretary, Ministry of Defence from 1988-94. As Additional Secretary in the National Security Council Secretariat, he was closely associated with the work of the Kargil Review Committee. Subsequently, he was appointed as a member of the Task Force set up to recommend measures for Reforming the Management of Defence. He was also responsible for providing resource support to the Group of Ministers on Reforming the National Security System. As the first Additional Secretary of the newly constituted National Security Council Secretariat, he was closely associated with the nascent NSCS and other support structures of the National Security Council like the Strategic Policy Group & the National Security Advisory Board. He later served as a member of the National Security Advisory Board. He has also been Vice Chancellor of Mohan Lal Sukhadia University, Udaipur. He was a member of the National Security Advisory Board. 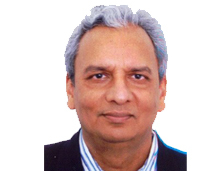 Arvind Gupta holds a PhD in International Relations from Jawaharlal Nehru University, New Delhi, and an M.Sc. in Physics from Delhi University. He was Visiting Member at the Tata Institute for Fundamental Research (1974-76) and served at the Oil & Natural Gas Commission (1976) and at the State Bank of India (1976-79) before joining the Indian Foreign Service in 1979. After working in the Ministry of External Affairs in different capacities and serving in diplomatic missions in Moscow, London and Ankara, Dr. Gupta retired from the Indian Foreign Service in 2013. During his tenure in government, Dr. Gupta was Joint Secretary at the National Security Council Secretariat (NSCS) from 1999 to 2007. At this time, he dealt with a wide range of international and national security issues and participated in the various working groups and task forces set up by the NSC. He also worked with the Kargil Review Committee. At IDSA, before becoming the Director General, Dr. Gupta held the Lal Bahadur Shastri Chair on National Security at IDSA from 2008 to 2011. After his stint at IDSA, he assumed the office of the Deputy National Security Advisor.